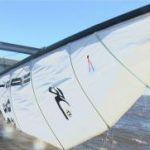 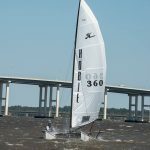 The fleet of 16 Hobie 17 catamarans completed their fourth and final set of races on Sunday at the 2017 U.S. Multihull Championship, hosted by Ocean Springs Yacht Club on Biloxi Bay. 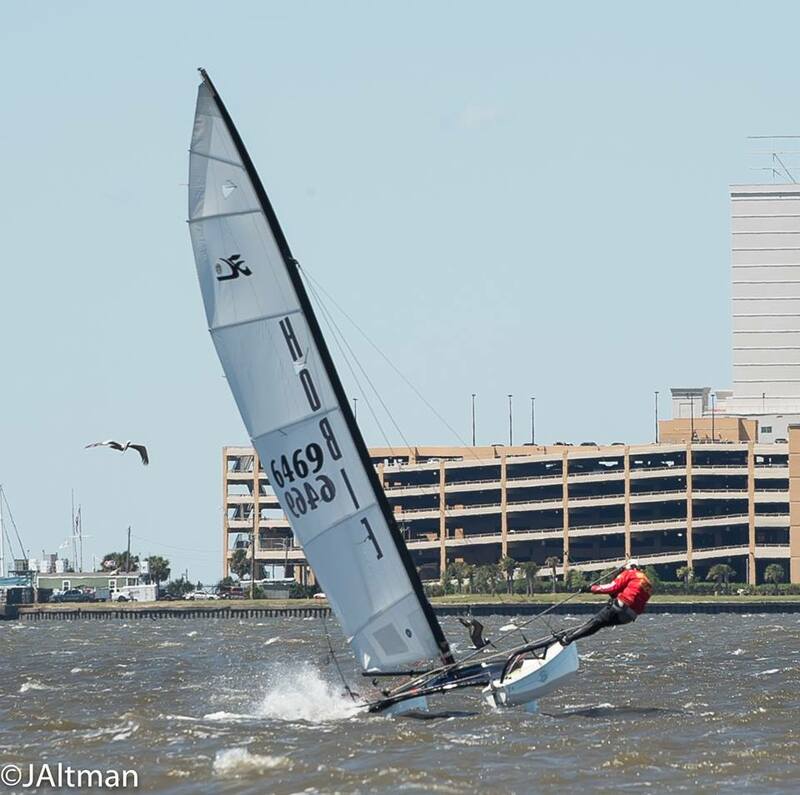 Phil Collins (Piedmont, Okla.) bolstered his Hobie 17 racing resume with another win in the class. 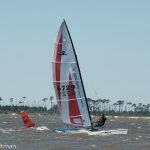 Collins led from start to finish and won the Hobie Alter Trophy by seven points over Daniel Borg (Mississauga, Ontario, CAN) through 15 races, including three on Sunday. 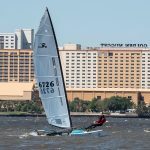 Collins had a 10 point lead through 12 races entering Sunday. 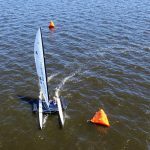 Borg made a strong run at Collins by winning three of the final four races of the regatta, including two bullets on Sunday. 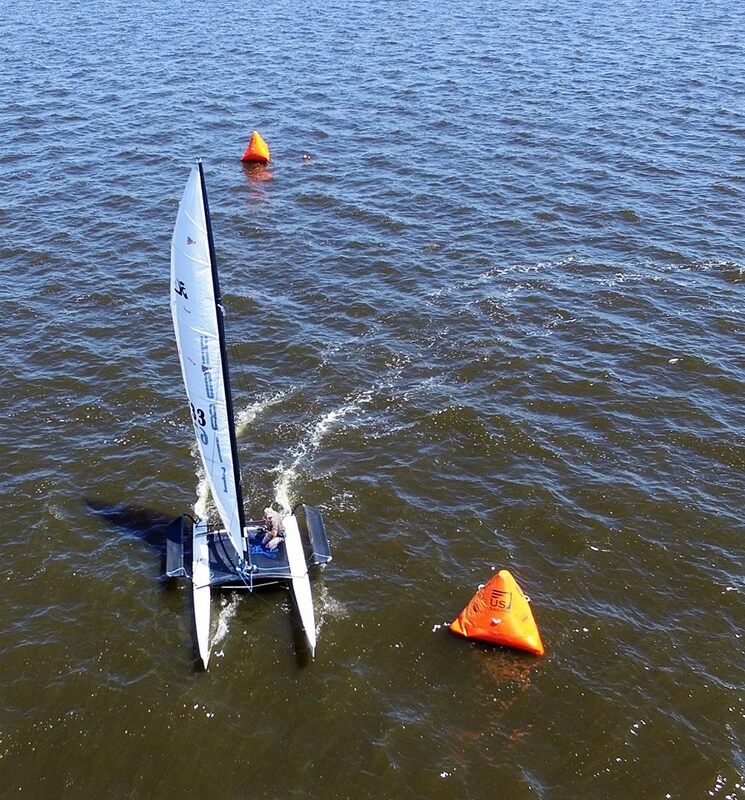 However, Collins’ consistent top results over four days helped him seal the win. Collins posted a 2-1-6 scoring line on Sunday. 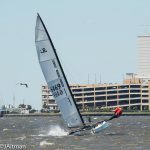 He won six races this week, and outside of his throw-out score, he never placed worse than sixth. 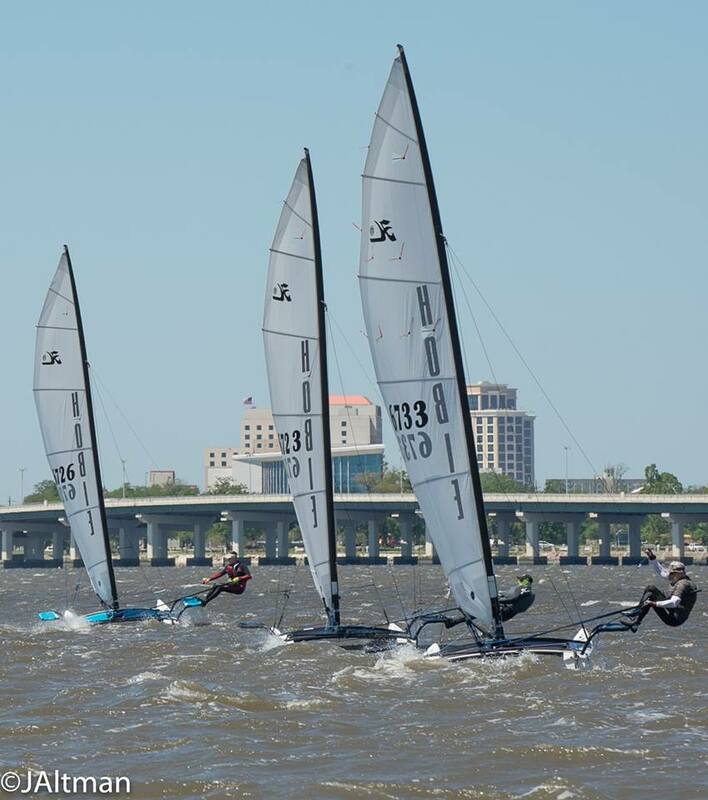 Collins led by eight after four races Friday and 10 points after eight races on Friday. 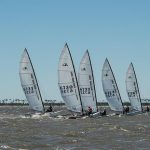 Sunday’s racing conditions were exciting in 2-3 foot waves and breeze up to 15 knots with gusts at nearly 20. 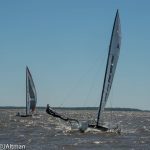 On Thursday, sailors raced in high winds and the fleet was challenged throughout the day. 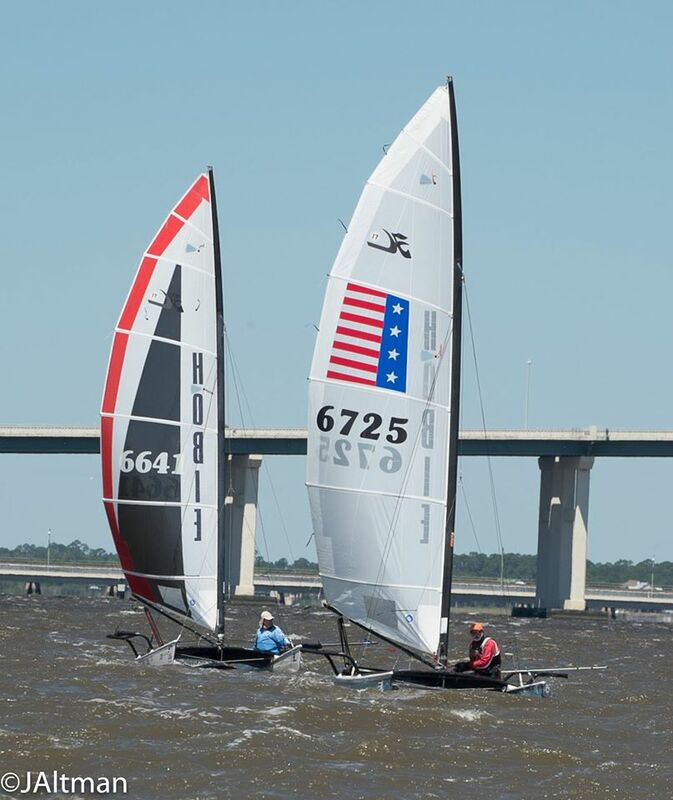 The Hobie 17s raced in 13-20 knots with gusts exceeding 30 in the afternoon. 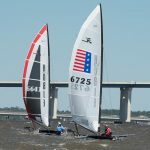 Friday’s conditions were mostly light and Saturday’s racing got off to a late start due to light wind. 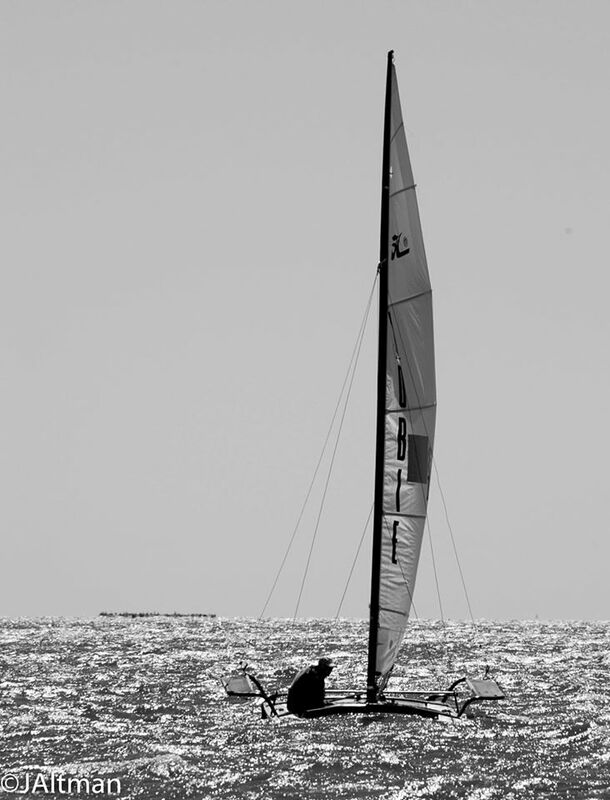 The breeze picked up to 15 knots in the afternoon. 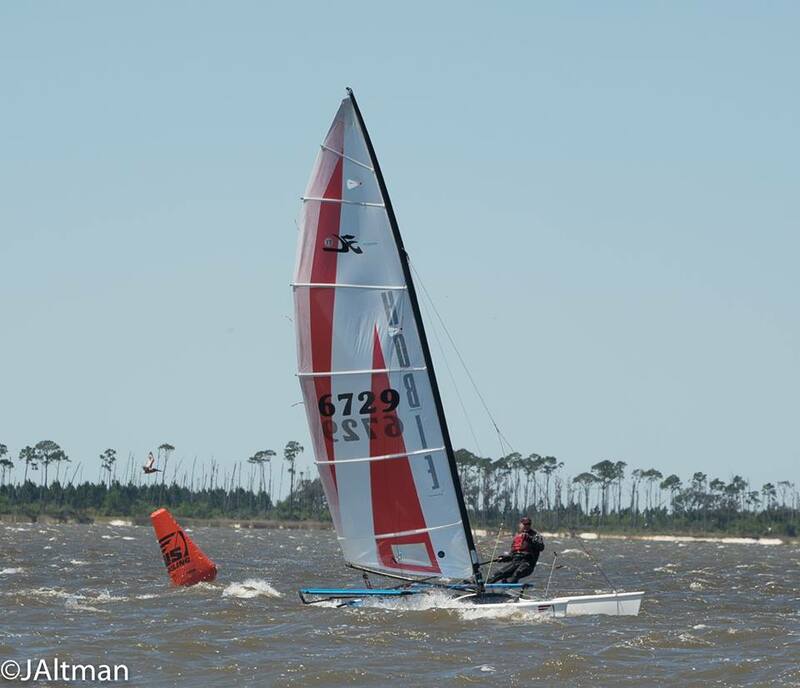 Collins is no stranger to success in the Hobie 17. 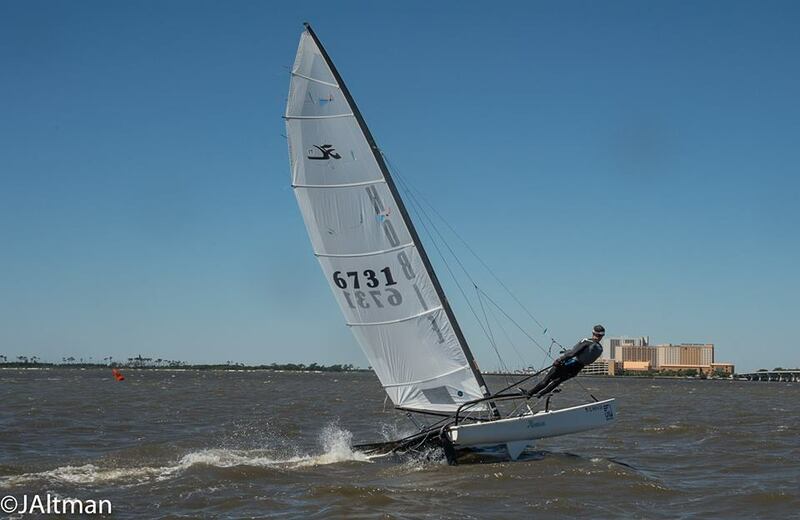 He has won multiple Hobie 17 North American Championships. 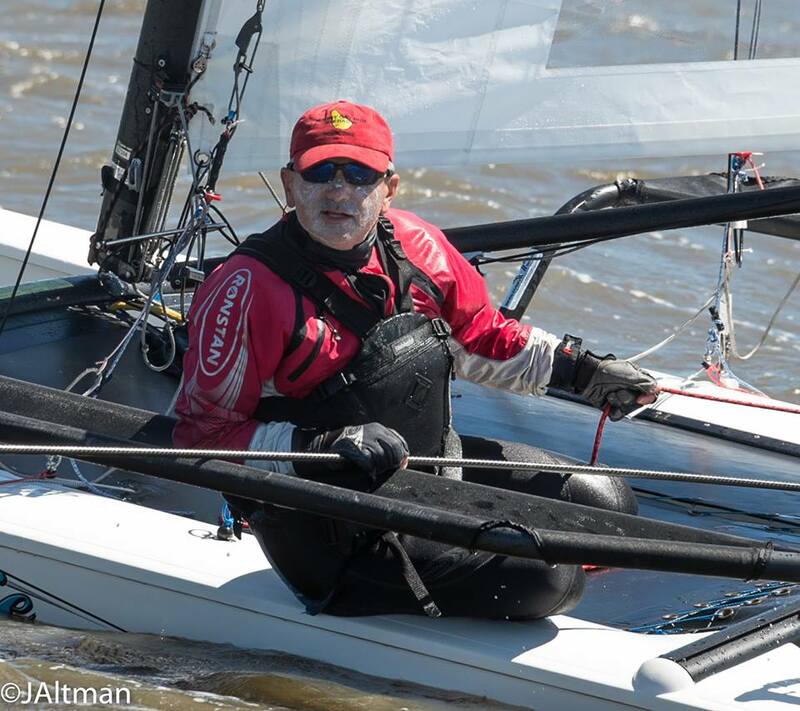 He also has multiple Hobie 20 North American titles. 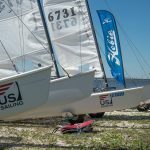 Collins has finished as the number one ranked Hobie 17 sailor in North America over the past several years. 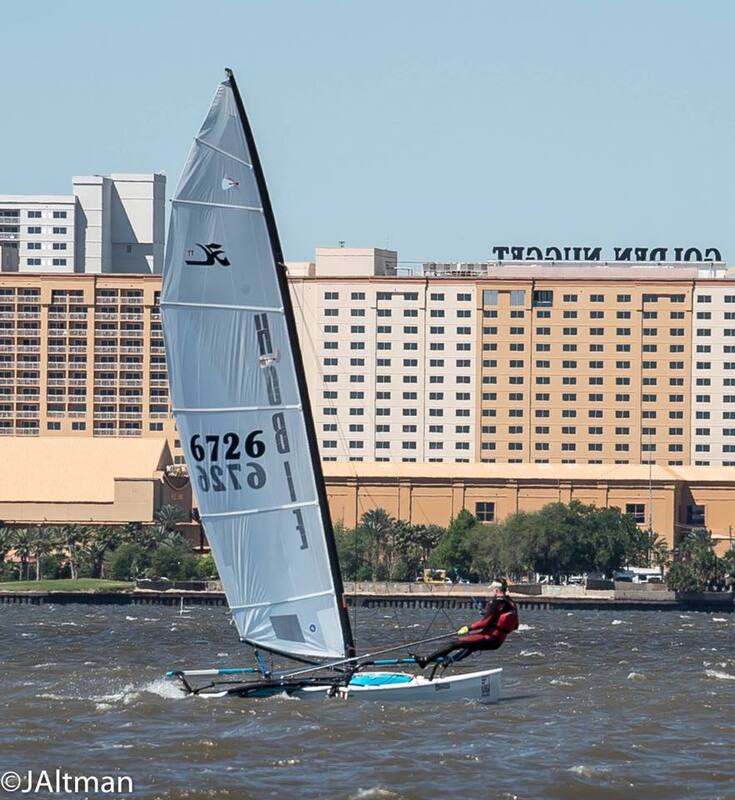 For the first time in event history, this four-day national championship was raced in Hobie 17 catamarans. 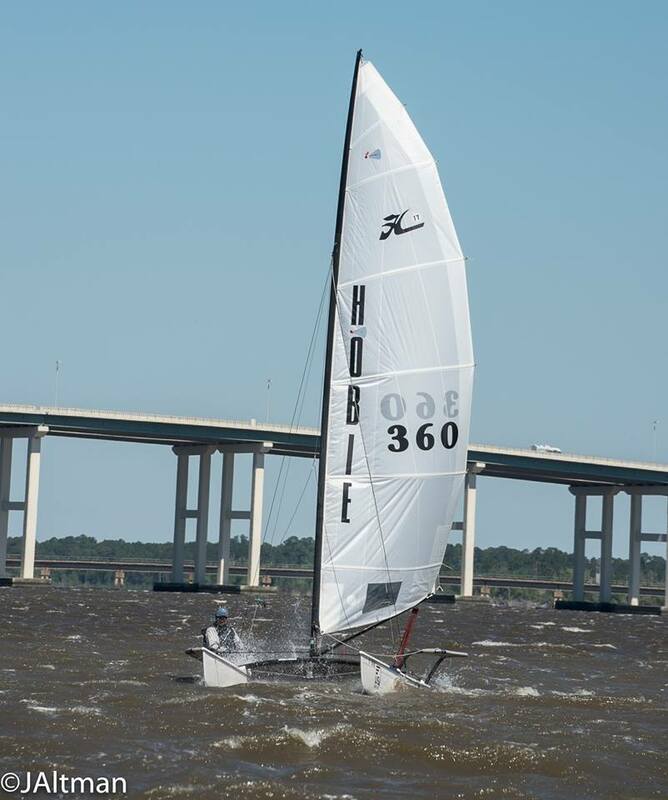 Sixteen sailors, representing nine U.S. states and one from Canada, competed for the Hobie Alter Trophy on Biloxi Bay. 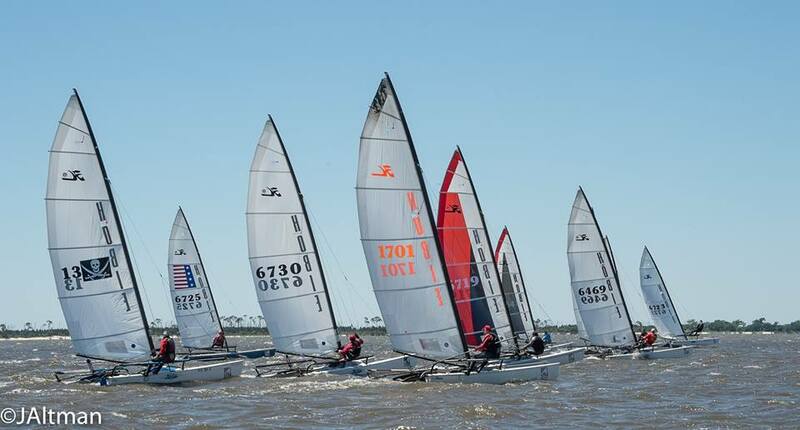 In conjunction with the U.S. Multihull Championship, the Ocean Springs Yacht Club also hostied the Hobie Class Association Mid-winters East/North this week, a Hobie Class Association sanctioned event. 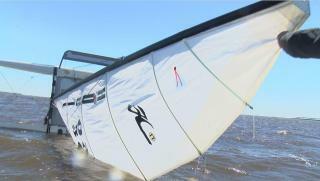 Sailors raced on Biloxi Bay in front of the Ocean Springs Yacht Club and to the east of the Biloxi Bridge. 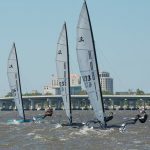 For results and standings, photos, and more information from the 2017 U.S. Multihull Championship, please visit the event website. 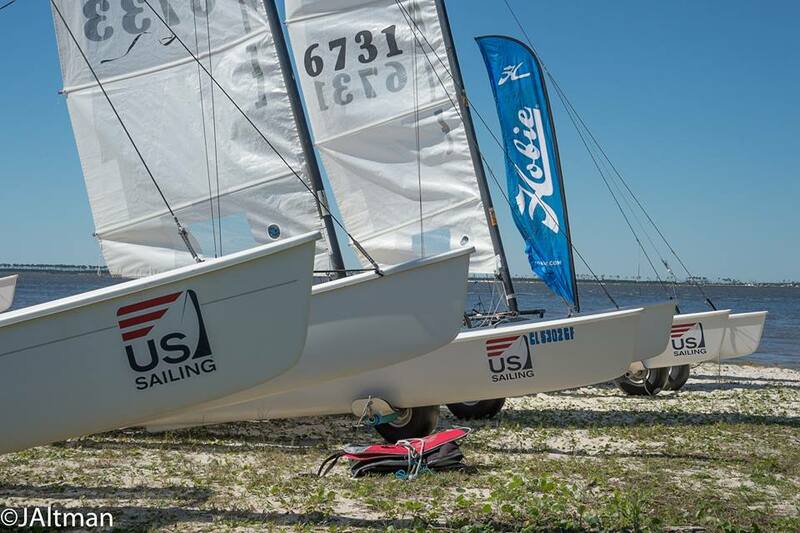 The U.S. Multihull Championship was conceived by the Multihull Council in the spring of 1985 as a service to the multihull racing community. 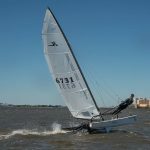 The perpetual trophy was presented and named the Alter Trophy in 1986 in honor of Hobie Alter, Sr. and his extraordinary promotion of one-design multihull sailing and racing programs. 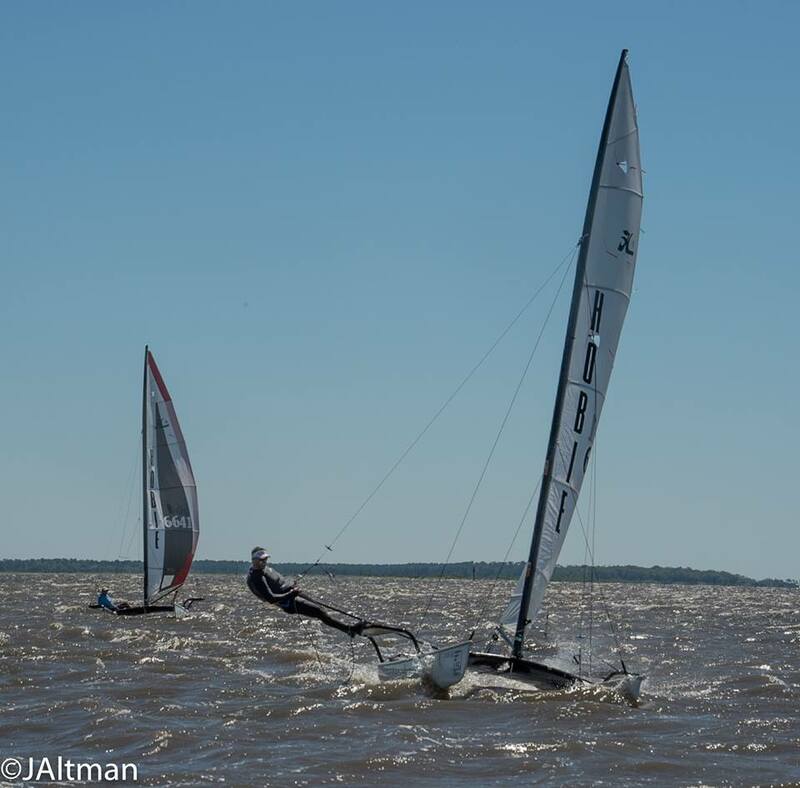 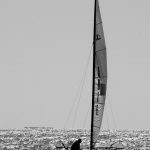 World champions from numerous classes, Olympic medalists and several national champions from the multihull ranks have raced for the Hobie Alter Trophy. 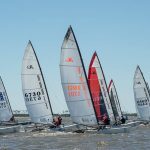 The championship rotates in discipline each year to showcase the depth of classes in multihull racing in the United States.